WASHINGTON, D.C.: discover the city during cherry blossom season! We went to Washington D.C. last Summer for the first time, but unfortunately the heat was so unbearable that we barely got to explore… so when the chance came to go back to the city for our partnership with Marriott Hotels & Resorts, we were extremely excited! Luckily enough, the National Cherry Blossom Festival was taking place that week, so as you can see in the pictures we were there exactly during the peak bloom! The cherry blossoms lining Washington DC’s Tidal Basin were so beautiful, it almost didn’t seem real… when we first posted little sneak peeks of the flowers on our stories, some people thought we were in Japan! One of our favorite neighborhoods in D.C. is Georgetown; either walking on the main street (and doing some shopping) or exploring all the beautiful homes hiding behind… we never got tired of being there. As you approach Georgetown University it almost feels like being on the set of a tv show like Gilmore Girls, since you can sense such a young / college vibe. We had a delicious lunch at Clyde’s of Georgetown, and even if we had to wait forever to get our burgers, this place was really nice so we’d go back for sure. Another great place in Georgetown is Malmaison, where we had brunch on a Sunday. Both of our dishes were great, but the best part was definitely their cheesecake! (That we forgot to photograph, unfortunately). We also tried the famous Georgetown Cupcakes which, to be completely honest, weren’t worth the 30 minute line outside the shop. But, we were told the cupcakes from Baked & Wired are a much better option, so I guess we’ll have to try those next time we are in DC! If you’re not a big cupcake fan, but you still have a sweet tooth, we recommend checking out District Doughnut, it’s a cute airy space located on 749 8th St SE that sells lots of interesting doughnuts. We loved the cherry pie flavor! Another neighborhood we really like is Shaw; it’s way smaller than Georgetown and there is not too much going on, but there are so many beautiful homes everywhere that we couldn’t stop taking pictures of. After walking around Shaw, we headed over to A Baked Joint for breakfast. This place is beautiful! And the food was delicious. It gets packed so quickly, but luckily we got there before most people did. 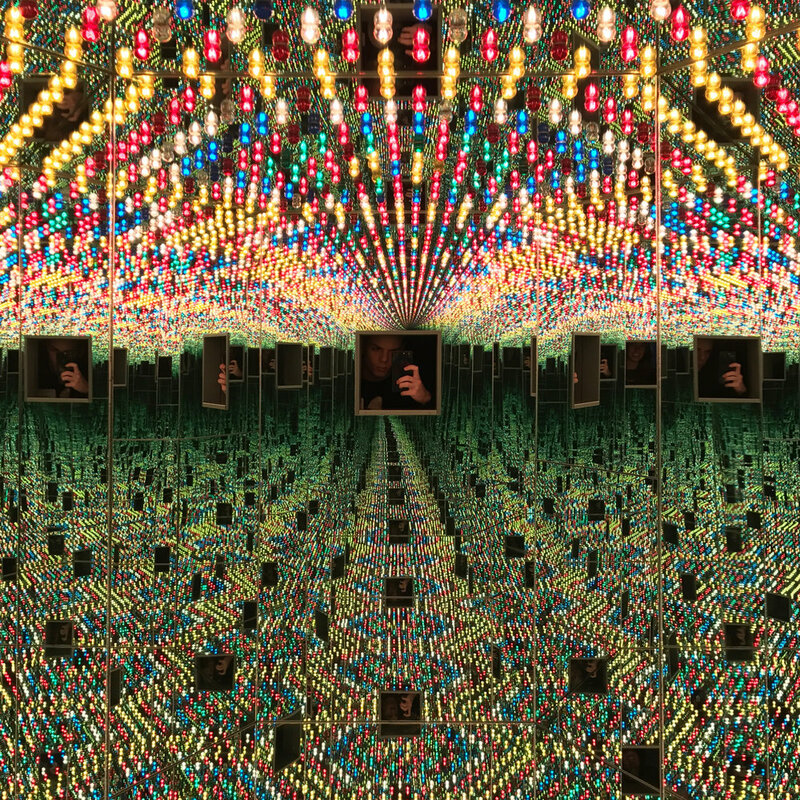 In October we went to The Broad museum in Los Angeles to check the super famous Infinity Room, and we were so excited to discover they were holding a Yayoi Kusama exhibition at HirshHorn Museum (available till May 14) in D.C., with not one but six different rooms! The only downside is that it is almost impossible to get tickets, as they sell out immediately, and even a lot of locals had never been able to visit the space. (So a huge thank you goes to the HirshHorn team for accommodating us on such short notice!! We loved every moment). A great place for coffee you must check out is The Coffee Bar Downtown; the space is small, but it’s really pretty and the coffee + almond croissant were great! When you visit The Lincoln Memorial, you should definitely do it at sunrise, it’ll be less crowded and the light overlooking The Obelisk will be magical! Union Station is one of the most beautiful train stations of the United States.